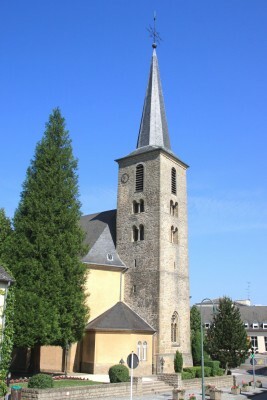 Today’s church in Consdorf goes back to a building from 1771 which was enlarged by half of its size in 1860. The bell tower is thought to be built on roman foundations and is older than the rest of the structure – at least the lower part which dates back to the 13th century’s early gothic period – but it was elevated in 1771. The different building phases are clearly visible on the outer façade of natural sandstone. The historically valuable tower is classified as a national monument and is protected as cultural heritage. The church was built in 1880-1890 and is dedicated to Saint Matthew, whose name day is celebrated on 24 February. Since the centenary in 1990, a statue of the saint sits in the niche above the entrance door. In the context of the new legislation separating church and state which came into force on 1 May 2018, the church was transferred into municipality ownership. In the near future, it will be desecrated and used for worldly purposes. 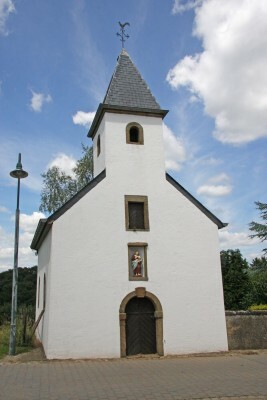 In 1570, the existence of a chapel is mentioned on the site of today's cemetary in Breidweiler. In the course of the demolition works in 1881, roman walls with eight high relief sculpture pieces were found, which were probably part of a former temple of the Lares. The same year, the construction work started on the present church and three of the sculpture piece were included in the base of the high altar. The patron saint of the church is Saint Hubertus. 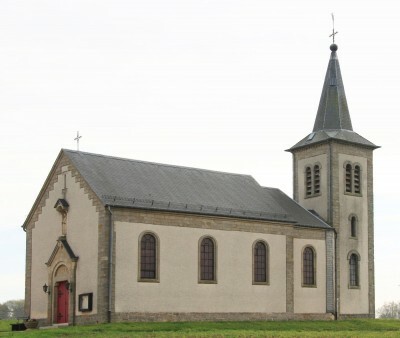 The chapel of Colbette built in 1720 is dedicated to Saint Margaret. The day of the saint, 20 July, is celebrated every year with a solemn mass. 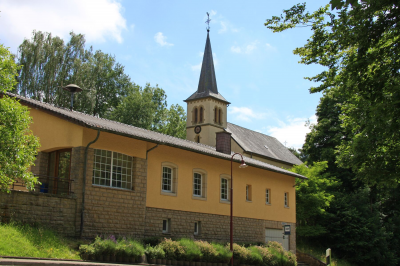 Formerly the chapel was privately owned but it now belongs to the municipality of Consdorf. At the site called "Goldkaul" (circular trail Consdorf-Mullerthal) you will find four rare, protected "Douglasien" in the midst of a forest of beech trees. 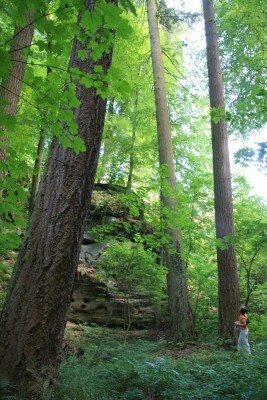 These conifers from North America were planted here in 1900 by the forester at the time called Bohnenberger. These giants with a height of more than 51 meters count among the tallest of their kind in the Grand Duchy of Luxembourg.